The square Town & Country Zoo Animals classroom carpet is a large and brightly coloured carpet with 30 different placement spots for children to sit on. Each placement spot is easily identifiable by a fun animal shaped bottom. 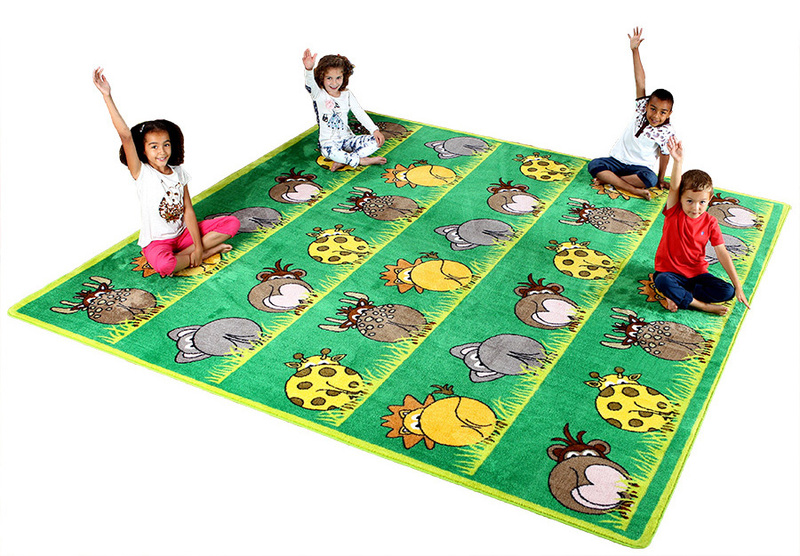 The distinctively designed classroom rug is perfect for group reading, learning and interactive games. Manufactured using a heavy duty tuf-pile which is an extra thick, soft textured tufted Nylon twist pile, ideal for classrooms and play areas. The specially designed Rhombus anti-slip backing allows you to use the classroom rug on all surfaces. Also available in a corner shaped classroom rug.